Based on a true story, Cobra gives an intimate insight into the unbelievable journey of a struggling black actress called Shareen. Whilst fighting to achieve her dreams, Shareen finds herself in an unbelievably dark and sinister predicament. Cobra is an inspirational story of one womans fight to overcome the exploitation of her own dreams and anything or anyone who dares to stand in her way. 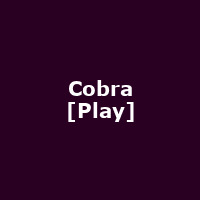 Written by up and coming writer and director Charis Agbonlahor, Cobra is a powerful play which questions the impact that racial stereotypes within society have on art and whether it is society that causes this and art follows, or whether its art that causes this and society follows. Cobra makes us question the choices we make, who we can trust, and the way in which black woman are viewed within both art and society.